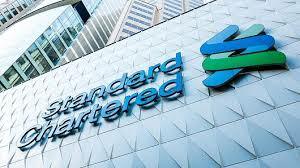 Standard Chartered Bank Ltd has sued a former employee, Mr Norbert Mutungi, for allegedly failing to pay over Shs69 million he obtained as a Personal Instalment Loan (PIL). According to documents submitted to the High Court Civil Division, Standard Chartered Bank claims that Mutungi applied for and obtained a loan of Shs75 at an interest rate of 11.4 percent which was to be paid for a period of 72 months. However Mutungi who was to pay a monthly installment of over Shs 1million made only eight installment payments, his last one being on March 26, 2017. “The defendant (Mutungi) has since deliberately neglected and or ignored to pay the money owed to the plaintiff (bank) in principal and interest and to date a sum of over Shs69 million is outstanding,” reads in part the bank’s claim. The bank claims that through its lawyers, Capital Law Partners & Advocates, it tried calling the defendant to serve him or to settle the aforesaid sum but he has deliberately refused to do so. The bank now wants court to order Mr Mutungi to pay it over Shs 69million with an interest rate of 11.4 percent from the date of default till payment in full and costs of the suit.